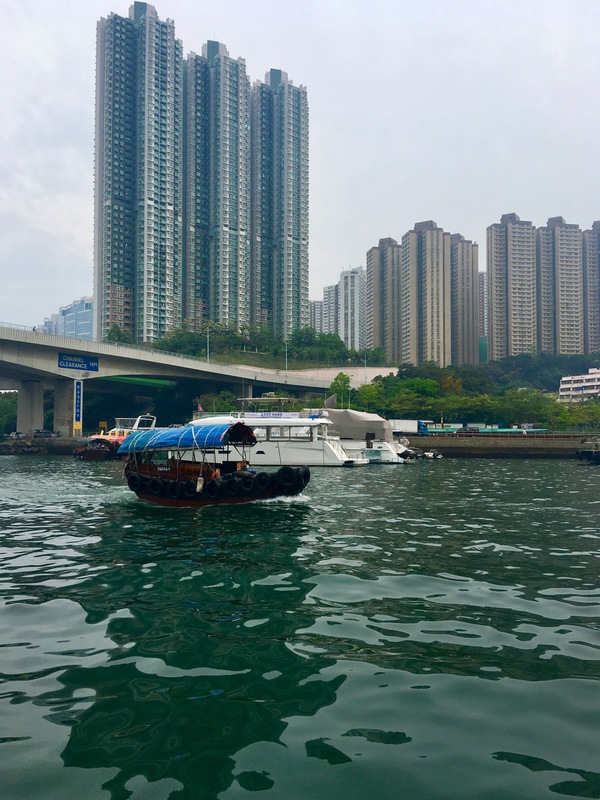 I was initially skeptical about the sampan ride that was included in my Big Bus tour of Hong Kong and was planning to give it a miss due to time constraints. Also, what could be so different from sampan rides I’ve taken back home in Malaysia or in lakes and rivers in Cambodia and Vietnam? As I would later discover – a lot actually! In most other places in the region, a sampan ride would most likely be in a rural setting, with peat swamps, farms, villages and green hills as a setting. 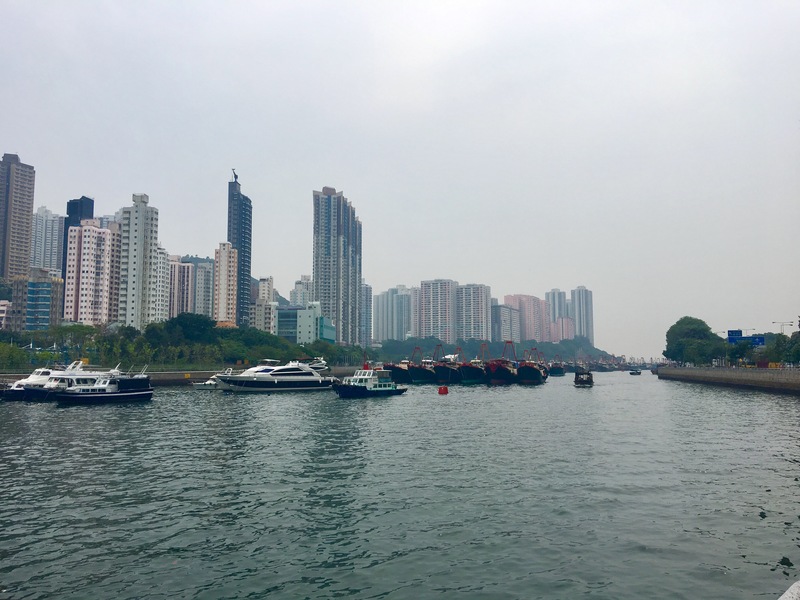 Not the Aberdeen floating village on Hong Kong island – which has towering skyscrapers for a backdrop. 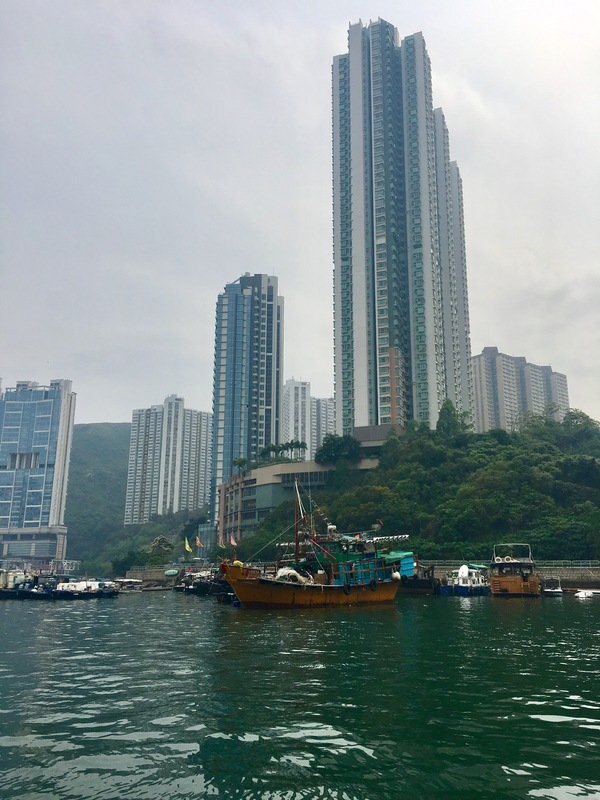 Also, when I heard the historical significance of the Aberdeen floating village of Hong Kong island over the audio guide – I just had to see it. As a history buff, I’ve read about the floating villages in port cities like Hong Kong and Canton in the days of old. The people on these boats played an important role in these ports, and to the merchants who sailed in from faraway lands. The merchants and their ship crew would have spent months at sea and when they reach their port of call. It will be several weeks or months before they set sail again after repairs and replenishment to their vessels, and rest, rejuvenation and replacement of crew. The operators of boats in the floating villages were often engaged to transport goods and wares to bigger vessels in the harbor and vice-versa. Some sold goods, wares and food to the crew of merchant ships anchored at the port, some served as floating restaurants, and some even as ‘pleasure boats’. The people living here are mainly descendants of the Tanka people who arrived between the 7th and 9th century , also known as sea gypsies, whose main source of income is from fishing. Aberdeen became a major fishing port in Hong Kong in the 19th century. Of course, the scene today was unlike the pictures created in my head from the books I had read. 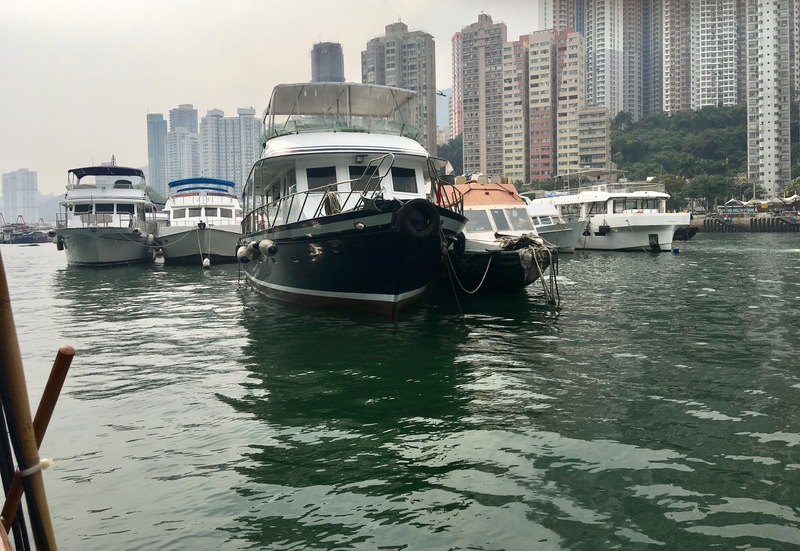 Some of the boats in the Aberdeen harbour- which also doubles up as a typhoon shelter, are a lot more luxurious and modern. The dilapidated and shabby ones look more like temporary operation spots for fishermen. The tall skyscrapers around the harbour provide a unique backdrop for the floating village. I’d say many of the former residents here would have moved on to homes with running water and better sanitation over time. 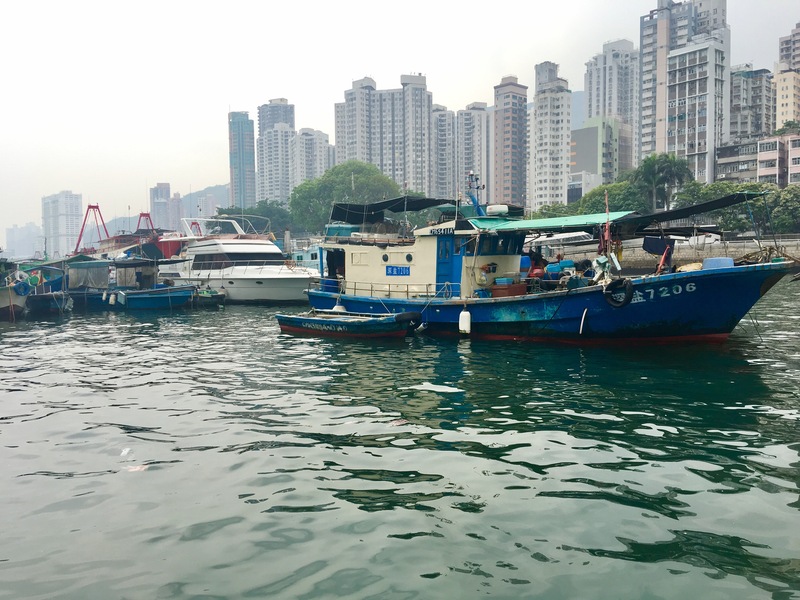 Many of what were probably old house-boats or sampans are now ornately decorated, and are used to ferry tourist on short trips around the harbour. As our sampan maneuvered around the houseboats and fishing boats, remnants of what this floating village would have looked like at one time are occasionally visible. The kitchen of a family home, laundry hanging out to dry, a lone dog protecting the home or goods stored on a boat, and people in boats just floating around having conversations with their friends – just like any other neighborhood, except they are on water. There are also floating restaurants serving up seafood – as fresh off the boat as it can get. I have no regrets stopping by this floating village to savour a scene that has survived time and tide, and the rapid progress and development in this region over several centuries. I absolutely love Floating Villages – theres a ton in China and Singapore, and I love taking photos there! Such great insight into local culture! Yup. I love it too. The ones on Tonle Sap lake in Cambodia and Kukup in Johor that I wrote about earlier have rural settings. This one is quite unique- in the middle of skyscrapers. I was in Cambodia in January – and loved the Tonle Sap!! Living on a boat..i can’t imagine how life would be like…but I guess you will never run out of seafood there..
please do! haha can’t wait to see it.